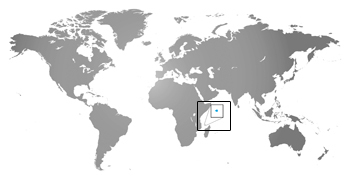 The Aldabra tortoise comes from the Aldabra Islands, located in the Indian Ocean north of Madagascar. They live in grasslands, mangrove swamps, and coastal dunes. Kids, pay attention: Aldabra tortoises eat a lot of vegetables, including leafy shrubs. At the zoo, the tortoises also dine on moistened pellets to maintain their nutrition. You should be good with just the veggies. Tortoises move slowly, but that’s OK, because they don’t need to run quickly to catch leaves and fruits. Aldabra tortoises have been known to knock over shrubs and small trees in order to get leaves to eat. Speed is unnecessary when escaping predators, too. The tortoise simply pulls into its sturdy shell for protection. Because of human intrusion in their habitat, the Aldabra tortoise’s numbers have drastically declined in the last century, and they are officially an endangered species. For hundreds of years, sailors passing the islands captured thousands of tortoises for food. Now, the rats and dogs that were introduced to the island eat tortoise eggs and young, continuing the threat to their species.